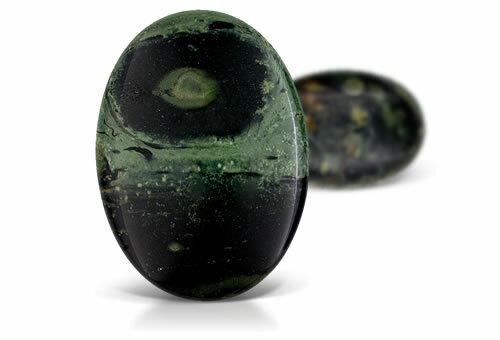 Plasma is the term for a deep green chalcedony that often shows small yellow, red or white spots. Plasma is dark green with white or yellowish spots. The stones semitransparent to opaque nature is what separates plasma from other chalcedonies.